FEM-Design 3D Structure solves many construction problems containing mixtures of shell elements, slabs, walls, bars, beams and columns. fem - analysis : Ingegneria - Calcolo Strutturale - Groups - Yahoo! Finite Element Analysis Services , FEA, consulting and engineering services, ABAQUS Sales and Support. Finite Element Analysis ( FEA ) Consulting - STI Technologies Inc.
Veryst offers unique expertise in advanced finite element analysis ( FEA ) for all industries. 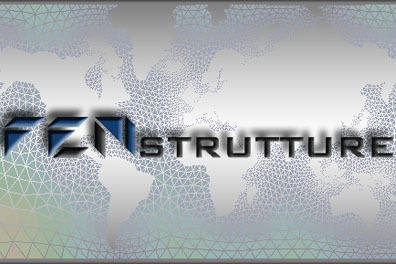 StruSoftÂ´s FEM-Design 3D Structure solves many construction problems containing mixtures of shell elements, slabs, walls, bars, beams and columns. A structural design that requires an optimization of factors of strength, stiffness and weight can not disregard the use of FEM software to give a FEM design. First of all a 3D CAD model "intelligent" in that it contains all the critical geometries that can influence the final result but at the same time, be purged by appendices not significant for faster computing time. Boundary conditions that are most illustrative of the critical conditions of use. A proper interpretation of results. Modal analysis to determine the natural frequency. Such analysis can be applied to products made from isotropic materials, or, a fortiori, from composite materials where due of the anisotropy the degree of difficulty in the analytical calculation is even larger, while the use of FEM software can almost lead to the same work as for isotropic materials from one point of view of timing of calculation. Some examples of application of these concepts, by FEMstrutture, are shown in the pictures above. Structural verification of the shell and composite structures both for motorboats and sailboats. Scantling of components such as awnings and walkways for yachts. Or even the design of a queue for a gyrocopter in the field of aeronautics.